Ytens (Ijtens, Itens), a hamlet in the Dutch province of Friesland (coordinates: 53.10141, 5.64329 [53° 6′ 5″ N, 5° 38′ 35″ E]), where there is a Mennonite congregation, formerly called Kromwal. In 1865 a meetinghouse (still in use) and a parsonage were built at Ytens. The pastor at this time was Gerhard Pol, serving here 1862-83, followed by R. Cuperus 1884-86, P. Zondervan 1889-91, A. Binnerts 1892-1897, H. Britzel 1899-1902, E. Engelkes 1902-5, A. de Vries Mzn 1906-14, P. J. Keuning 1914-21, S. I. van der Meulen 1922-29, J. H. van Riemsdijk 1930-d.1940, G. M. Kosters 1941-44, T. Hoogslag 1950-56, and M. C. Postema since 1957. The baptized membership numbered 98 in 1861, 122 in 1900, 105 in 1926, 99 in 1958. 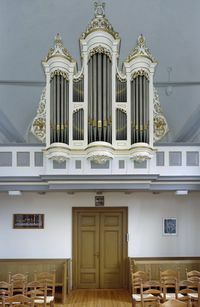 An organ was acquired in 1900. Church activities include ladies' circles at Ytens and Wieuwerd, a youth group 18-25, a youth club, and Sunday school for children. Doopsgezinde Bijdragen. (1890): 139; (1900): 231. Reliwiki. 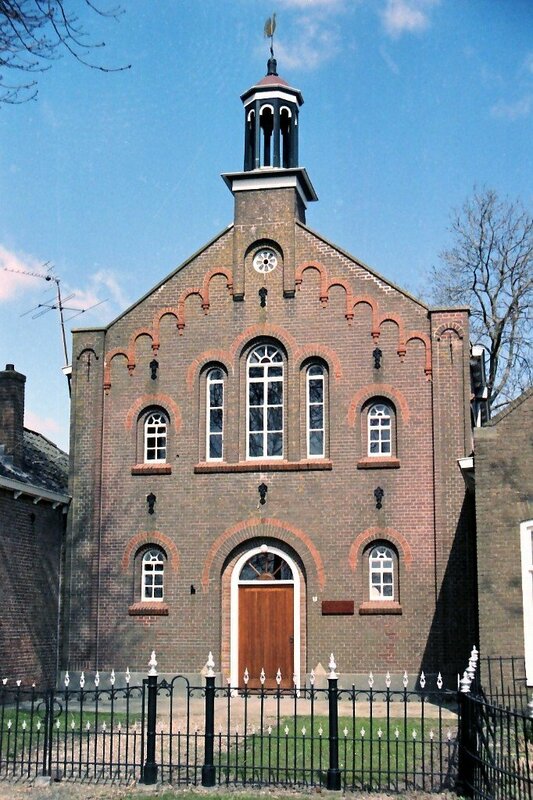 "Itens, Haeredyk 31 - Doopsgezinde Kerk." 1 September 2013. Web. 13 October 2014. http://reliwiki.nl/index.php/Itens,_Haeredyk_31_-_Doopsgezinde_Kerk. Zijpp, Nanne van der. "Ytens (Friesland, Netherlands)." Global Anabaptist Mennonite Encyclopedia Online. 1959. Web. 18 Apr 2019. http://gameo.org/index.php?title=Ytens_(Friesland,_Netherlands)&oldid=126176. Zijpp, Nanne van der. (1959). Ytens (Friesland, Netherlands). Global Anabaptist Mennonite Encyclopedia Online. Retrieved 18 April 2019, from http://gameo.org/index.php?title=Ytens_(Friesland,_Netherlands)&oldid=126176. Adapted by permission of Herald Press, Harrisonburg, Virginia, from Mennonite Encyclopedia, Vol. 4, p. 1012. All rights reserved. This page was last modified on 13 October 2014, at 15:48.